It is no news to you that there are a lot of apps out there in the land of smart-phones and tablets, plenty of them with very specific tasks and features. Looking for the right home and the move itself can be a very demanding season of your life. Sometimes most of the time we don’t really want to take the time to learn how to navigate a new app just for a short season of our lives. I wanted to show you a few ways you can use 3 apps that you very well may already have installed to maximize your time and resources without learning your way around 20 specific apps you will just forget the logins to a day later. Let’s learn how to collect your research, organize your resources and plan for future projects with Evernote, Houzz and Pinterest! Evernote: Yes, that little green box with the elephant that everyone has in their productivity folders but not all use to it’s fullest potential. 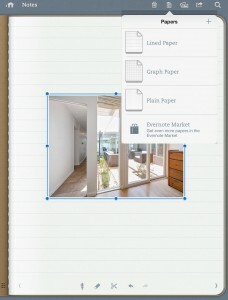 That is the beauty of Evernote, use it a little and you are already better off. Include it in your day-to-day and your entire catalog of information is at your fingertips. Searching for and moving into your new home is the perfect way to dive in. If you are an Eichler-enthusiast, chances are your are a more visual person. Evernote does a fantastic job of posting video tutorials every time they roll out a new feature. You can find all of their videos including ones on getting started over on their YouTube channel. Access your Evernote on your phone, tablet or desktop. Notebooks can be shared with another user if you allow them to be. This can include your partner, interior designer, real estate agent, and the search functions are incredible. Looking at a dozen homes over the weekend? Snap photos and take notes of each one so you can review them all later. Enhance your Evernote awesomeness by downloading one of their many other apps that are designed to sync and optimize your time and resources. I love the Penultimate app so much! From my phone I can pull up a sheet of graph paper, sketch out a layout or idea, include a photo and then save that information to a notebook. The IdeaPlaces app is a location-based way to use a map to tag and pinpoint on a map with your own notes. A great tool to be used when narrowing down the right home. Those are is just two examples of the many many apps that can sync to your Evernote account. Browse them all here and see which ones are the right fit for you. Empower yourself with the priceless task of doing things right the first time. Taking a few extra steps the first time you take on a task makes life easier in the long run. Once you have decided on the home of your dreams in Southern Caliornia, you are already on track to stay organized before you even move in. Delete all of the excess information from other homes and you can now build new notebooks and notes to organize your move. Store photos of important documents you may need to search for later, or better yet purchase one of the many scanners that can be synced to your account and start building a searchable database of all of your important information. The rapid growth of content being uploaded to Houzz is incredibly encouraging to see. The world has embraced Houzz and its and app with welcome arms and active users. This SoCal-based site has fast become the must-be place for professionals to showcase their work and be reviewed. On Houzz content is truly king! Images must be of a certain quality and the professionals curating that content must be accessible for the best user-experience possible. You know that sinking feeling when you find an image of something great on Pinterest only to find it to be a dead-end of sorts with no link to the source? On Houzz you can post questions directly to professionals or even post your own inquiry to the site with request for feedback. 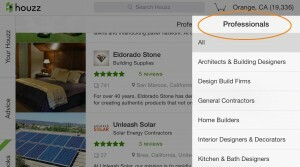 The directory feature of Houzz is a fantastic tool when you are searching for professionals in your area. You can narrow down by categories and read reviews posted by clients. I recently attended a Houzz event and was assured that Houzz takes customer reviews very very seriously. Every review is researched by Houzz staffer to be sure they are legit and valid to each professional. While a Houzz Pro can invite a client to write a review for their profile, they have no access to edit or remove that review. The ideabooks you will build on Houzz will be your biggest asset when moving to or even selecting a new home. Keep your ideas organized and share them with a quick email to anyone you wish. Recently Houzz launched collaborated ideabooks. This means you can publicly (or privately) share an ideabook with your Realtor, contractor or designer and include notes within them. If the first two apps mentioned aren’t your cup or tea or perhaps you just don’t want to learn a new app to use, Pinterest still remains the “old” reliable. Now that you know how to navigate and use this app you are among the masses using it on a daily basis. Pinterest has quickly become a search-engine for many users. Shopping Mid-Century furniture, pinning current listings you are interested in, or creating boards for your first few projects. It is the place to be! A new feature worth mentioning is the new messaging service. Now send private messages to other users on Pinterest! Remember the good old days…just a few weeks ago when you could do this easily on Facebook? 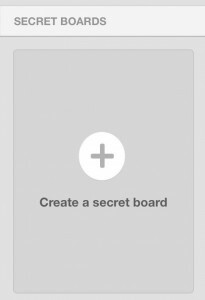 Much like a note attached to a Houzz ideabook image, you can now collaborate on a project within the Pinterest interface. Don’t want the world to know what homes your are looking at or projects you are planning? Find a great Eames chair on Ebay but don’t want a friend to snag it before you? May we suggest pinning to a secret board? This keeps your pinning off the main feed and out of sight from other users. 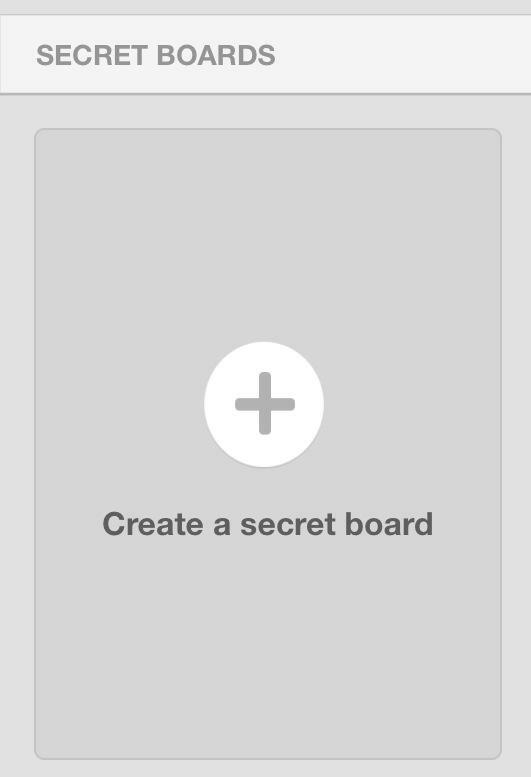 You can still collaborate on a secret board by adding a user in the “edit board” prompt. Quick Take: Coastal View Modern...Affordable?